As entertaining as city life can be, it’s nice to get away from the hustle and bustle of the city for calmer surroundings. For that reason, I chose to visit the charming and idyllic Nami Island on my final day in South Korea. This was my first time traveling outside of Seoul since I arrived in the city, so I was a little apprehensive, but I needn’t have been. 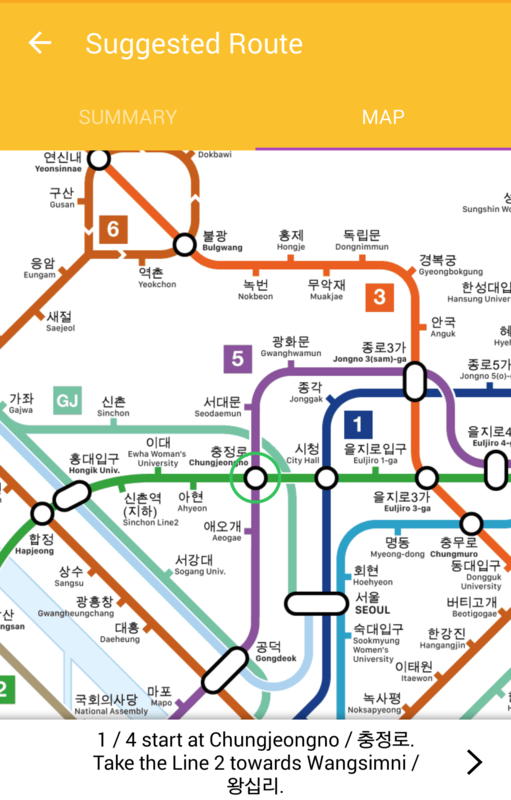 Public transportation (especially the subway system) in Seoul is very visitor-friendly and there are transit apps you can download to give yourself greater peace of mind if you are like me: traveling solo and not fluent in Korean. Some apps even have features you can access offline. 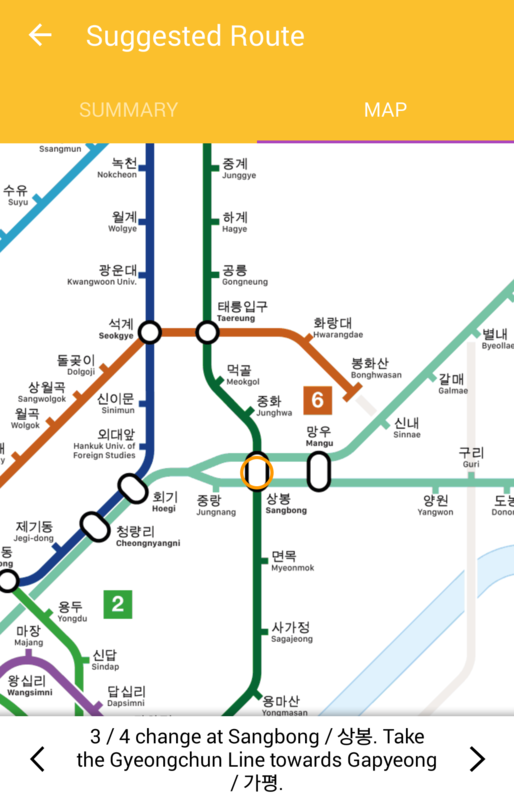 The one in the pictures above is called Seoul Metro Subway by Mapway. 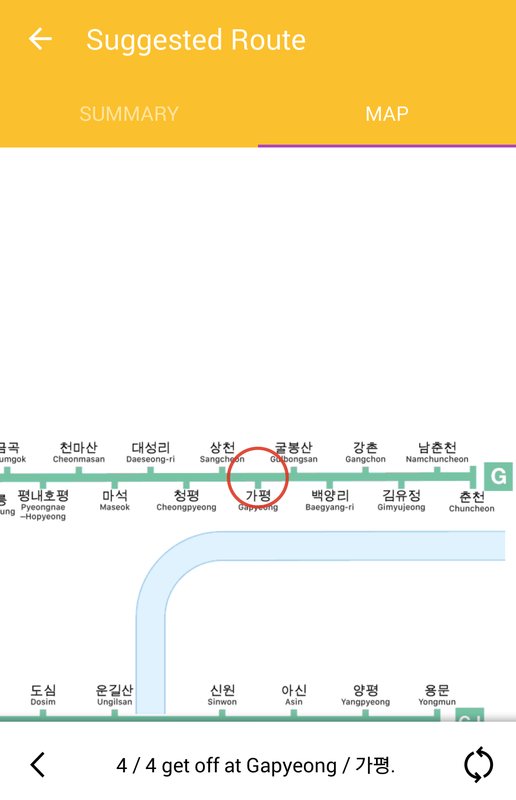 Once you reach the dock in Gapyeong province, you’re practically there. The final step is to buy an entrance visa for the ferry to the island. 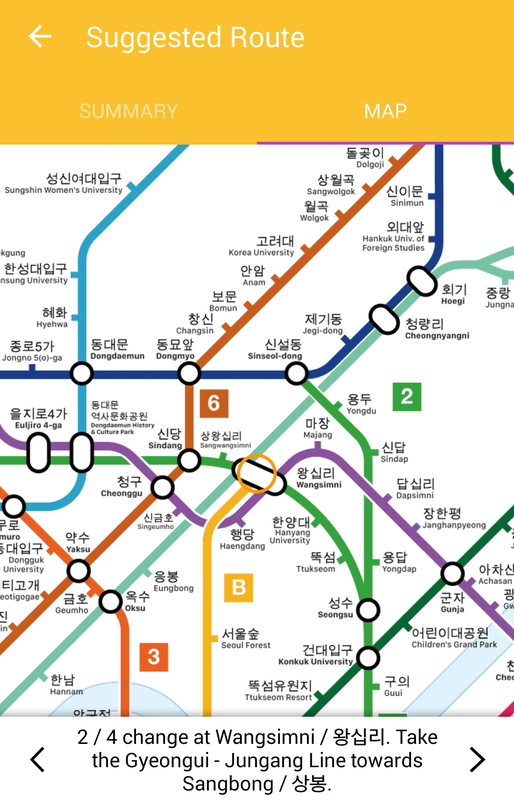 Fun fact: Nami Island is a micronation. They even have their own currency! The ferry ride is quick. I had just enough time to take in the shoreline of the approaching island before the ferry docked. I was greeted by the large entryway and an adorable lighthouse statue. Art. Art. And more Art. That’s what comes to mind when I think back on Nami Island. Everywhere you turn, there are sculptures, cool art installations, and beautiful nature scenes that will have you clicking away with your camera. The island also features art galleries and a concert hall. Fun fact: A popular Korean drama called Winter Sonata was filmed on Nami Island. The series follows the story of a young couple in love. The theme of love is very present throughout the island, as can be seen in the pictures below. In addition to the art, Nami Island has restaurants of varying cuisines, plenty of coffee shops, gift shops, and prime people-watching opportunities. It’s a popular destination for both Koreans and tourists alike—something I experienced first-hand, since I went on a weekend. At times, it felt crowded, but that didn’t take away from the magic of the island. The only complaint I have about my visit is that I wish the weather had been better (I visited the island in early April). Still, I’m so glad I went. Even though I was by myself, I was never bored because there’s plenty to see and immerse yourself in. On Namiseom you will find art in its many forms, culture to appreciate, and fun outdoor activities, especially in the warmer months. Thanks for reading and I hope you enjoyed the pictures! So much has happened since Part 1 of the Korea series. I can’t wait to share my adventures this summer with you all, so be sure to follow me on social media (links below) because I’ll be sharing the good news there first. In fact, I’ll be making an announcement on all my social media pages tomorrow!